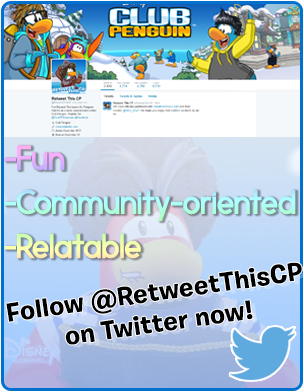 So you want to become a Tour Guide on Club Penguin and help many other penguins around the island? 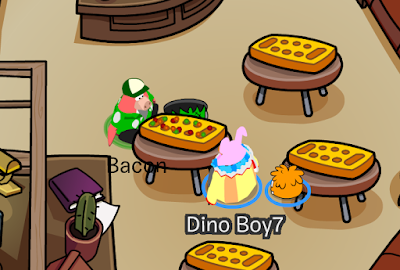 No problem, I'm going to show you how with the Club Penguin CheatsWithDino Guides! First off, you have to make sure your penguin is over 45 days old, you can check by clicking 'Edit Account' on the chat bar in Club Penguin! Let's go. Firstly, click on your map icon to bring up the map. 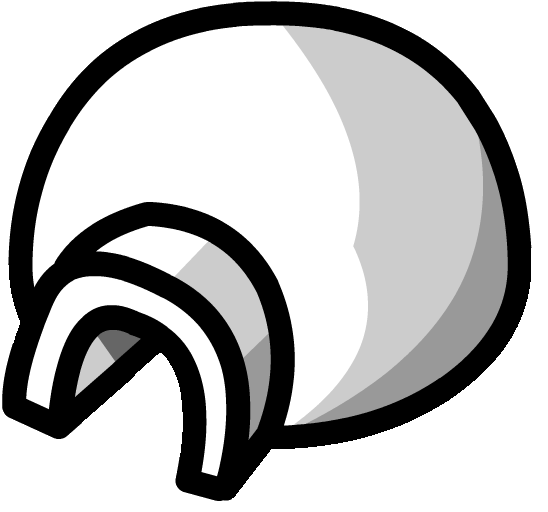 Click on the Ski Village icon. Click on the Tour Guide Booth. It is below the wooden sign that reads: 'TOURS' on it! Read the instructions in the booklet that pops up on your screen. Once you've finished your Tour Guide test, you receive a cool Tour Guide hat! Question: How many sled racing courses are there? Question: What day does the newspaper come out? Question: How does the pink puffle play? Question: In what room can you find old copies of the Penguin Times? Question: Which of these games have a shark in it? Question: How many coins does it cost to buy a player card background? Question: What color of puffle can catch on fire? Question: What is thrown out of a truck in level 4 of Bean Counters? Question: Which of these places does not have music playing in the background? Question: How do you get a pin? Question: What is the name of Captain Rockhopper's Ship? Question: Which of these rooms does not have a game in it? There you have it! 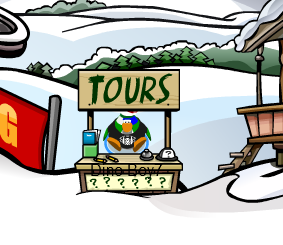 You are now a Tour Guide in Club Penguin and are able to give out tours to penguins around the island! Well done!